It looks like there won’t be a Halloween holiday event this weekend. It’s really unfortunate that the timing didn’t work out for me to create the event, because Halloween has an incredible amount of potential for stuff like this. Hopefully I’ll be able to make up for it with a really awesome holiday event week come late December. Apart from that, Spiff has been hard at work squashing bugs while I’ve remained focused on balance tweaks. We’ll have the v1.54 patch ready in the next day or two, and like this past Friday’s v1.53 update it should come packed with a wide variety of minor tweaks and changes. Stay tuned. This update is our first crack at smoothing out some of v1.52’s rough edges, and there still many things that we intend to address over the course of the next few patches. If you have specific feedback on the balance tweaks included in v1.53 then please feel free to post your thoughts on the suggestions board (be sure to specify that you’re talking about v1.53). Free respecs are still in effect, and probably will remain so for the foreseeable future until I’m satisfied that all of the trees are well balanced. In other news, I’m hoping to get a small Halloween event ready for this Sunday, although at this point I can’t make any promises. As we discussed on this week’s podcast, the timing just worked out to be such that I have very limited time to get the event ready to go. Keep your fingers crossed – I’ll make another blog post about the status of the event one way or the other come Sunday. Spiff and I have been working on a v1.53 patch with various bug fixes and balance tweaks, and I’ll make a full post about that update here when it’s ready to go. In the meantime this week’s podcast features discussion on the communities’ reaction to the skill trees, the first round of changes that we’re working on, and a talk with Spiff about what new features are in the pipeline. Also, this weekend’s Halloween event! 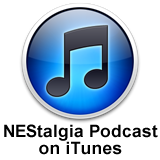 You can find this podcast and others on the NEStalgia Podcasts page and also on iTunes. NEStalgia v1.52 Released! The Podcast Returns! NEStalgia v1.52 was released yesterday afternoon as planned, but I neglected to announce it here on the blog. Although I’m sure that most of you have read up on it by now, you can find the release notes on the wiki. The release went very smoothly, and over the course of the next few weeks we’ll be making lots of small changes and fixes as necessary. Please post any request for topics that you’d like us to discuss or questions that you want us to answer on next week’s podcast in the comments section of this post. Thanks for listening, and enjoy v1.52! I’ve talked a lot about the big stuff coming in v1.52, but there are loads of smaller changes included in this patch as well. Granted, “smaller” is relative here: in a typical patch almost all of the less touted features coming with v1.52 would be fairly significant news. Many of the items below have been documented in the patch notes for a few weeks, but I haven’t brought any attention to them. NEStalgia’s current frame rate is about 10 FPS, but with recent upgrades to the BYOND system we’ve been able to bump it up to 16 FPS for v1.52. That doesn’t sound like much of a change, but it really does make a big difference in terms of the smoothness of the visuals and the responsiveness of the controls. The big motivation behind the increased frame rate is that it allows us to actually bump up players’ overworld movement speed. The speed change is minor, but it makes a big difference. Characters no longer feel sluggish when moving around the map, and on the whole navigating the game just feels a lot better. Spell Crystals were added to the game before any form of character customization existed (even before Milestone boosts!). With the advent of Skill Trees these crystals are no longer necessary, and their existence actually makes a lot of skill point investment decisions much less meaningful. Therefore, as part of the re-balance I’ve decided to ax Soften, Harden and Speed Crystals completely. Anyone who currently owns one of these crystals will be able to resell the now useless crystals for a full gold refund. Players can earn up to 38 Skill Points to spend. Most of those come from leveling up, but four can be purchased via the revamped Moon Blessings, and two can be earned by completing a couple new quests. Found at the Colosseum, a new “bonus” quest giver rewards players a skill point for finding all of the treasure chests in the game. 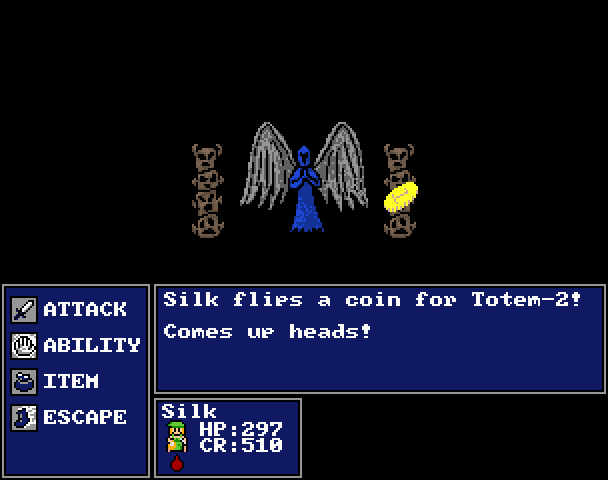 His second quest rewards a skill point for completing every other quest in the game. Now players ought to have a bit more motivation to shoot for 100% completion. This was a highly requested change: battle status indicators no longer disappear during the “action round” of battle. These indicators are now added and removed in real time. Prior to v1.52 Instant Kill abilities such as CoinFlip and Judgement have been completely ineffective against bosses or other players. In the update all of that is changing, but instead of instantly killing a boss or player, Instant Kill abilities will do the spell damage equivalent of a critical hit. Not only is this an oft requested change, but with the introduction of Skill Trees it has actually become a necessary one. 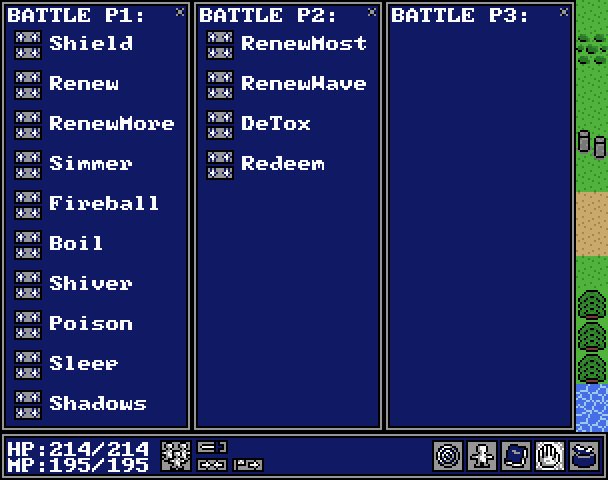 Players will now be able to re-order their spell lists for both battle and the overworld. 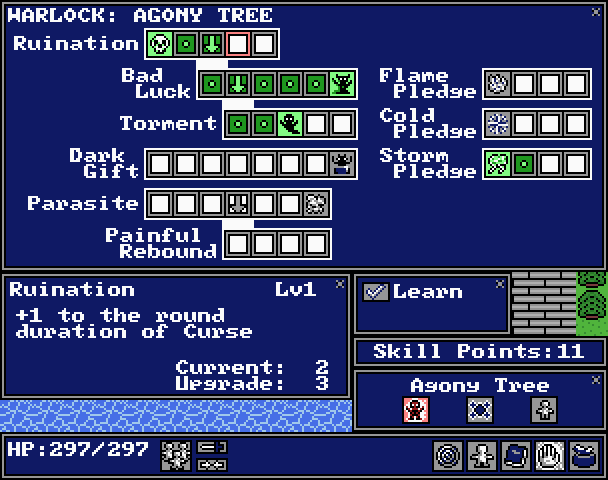 Furthermore, clicking on an ability in this new HUD will show a brief description of what it does, and in the case of a “random success” ability actually indicates its base success rate. 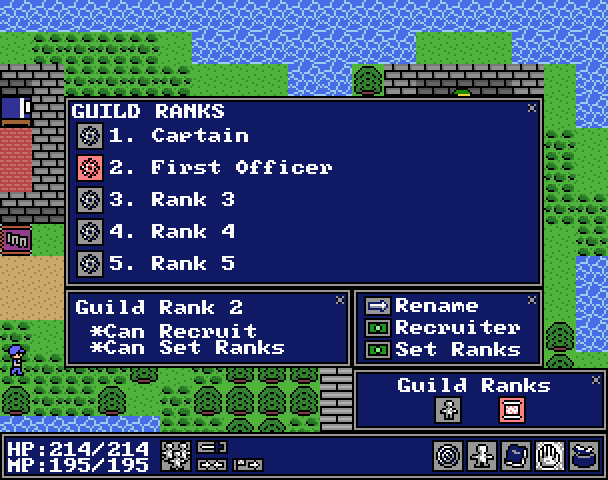 Previously detached from the game window and housed in NEStalgia’s external interface, the Guild and Social management panels have been transferred over to new game HUDs. 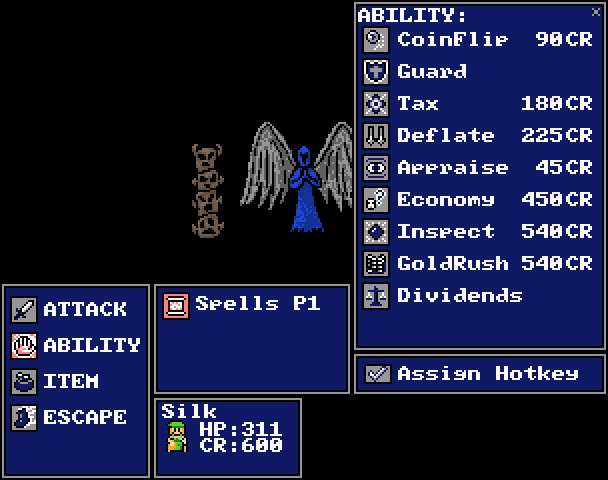 This makes things much more streamlined, and in many ways these HUDs are now actually easier to use. 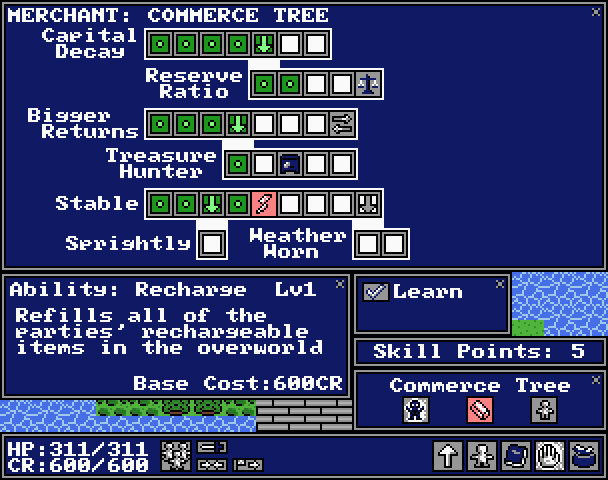 This new HUD is fairly straight forward, and is also mostly just a transition of controls that previously lived in NEStalgia’s external interface into the game window itself. 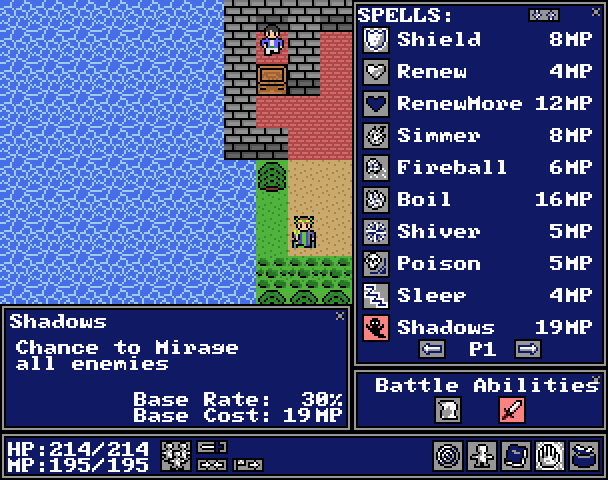 However, there is one new little toggle that many people have requested – the ability to disable full screen spell flashes in battle. “Charge” type abilities such as Charge, JumpKick and Malice’s “Glow” move will now show a status indicator when they’re charging up. This should make it much harder for players to miss the warning for when these abilities are about to be unleashed. We’ve had a lot of great artwork contributions to the game, and I’ve finally got around to swapping out some of the remaining to-be-replaced sprites for the v1.52 update. Midgard and Efrain have never looked better! Merchants have always been a bit of an experimental class. My goal was to create a class that could fill the same party roles as Soldiers while simultaneously maintaining a unique play style. 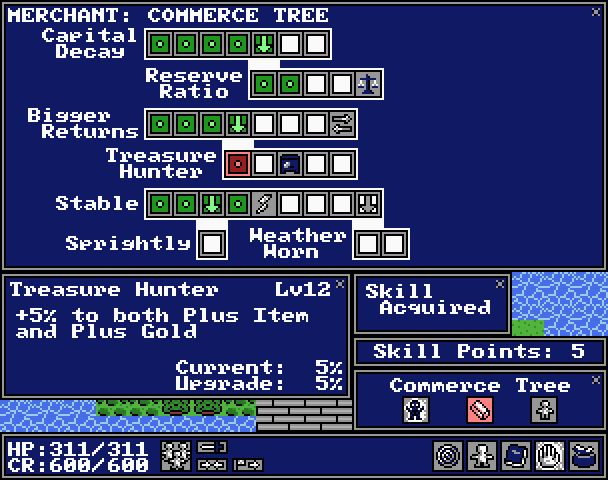 I think that the Merchant as it currently stands does meet those criteria and is a lot of fun to play, but there is a ton of room for improvement. I love the fact that Merchants use gold to power their abilities, though I always expected that the biggest problem for players would be the fear of running out of gold in battle. Instead, the opposite problem has emerged: rich Merchants essentially have an infinite mana pool. Much like I did with the Soldier class for the v1.52 update, my goal was to give Merchants a more controlled system for powering their abilities so that I could in exchange make those abilities more useful and more powerful. Therefore, gold is out, and Credit is in. 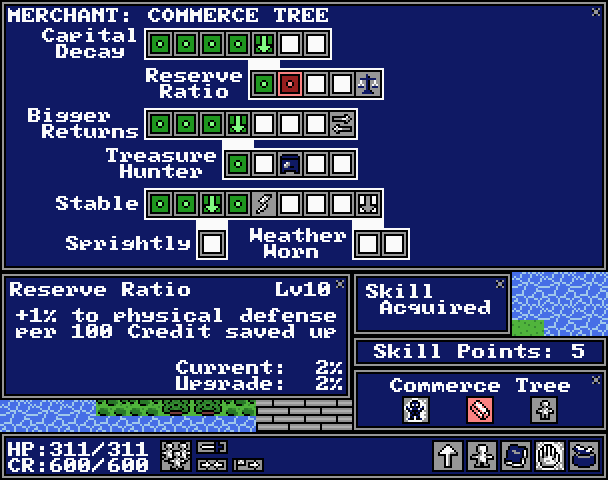 The Merchant Credit system is similar to the Soldier’s Will system in that it’s essentially a stamina meter, although it functions quite differently. 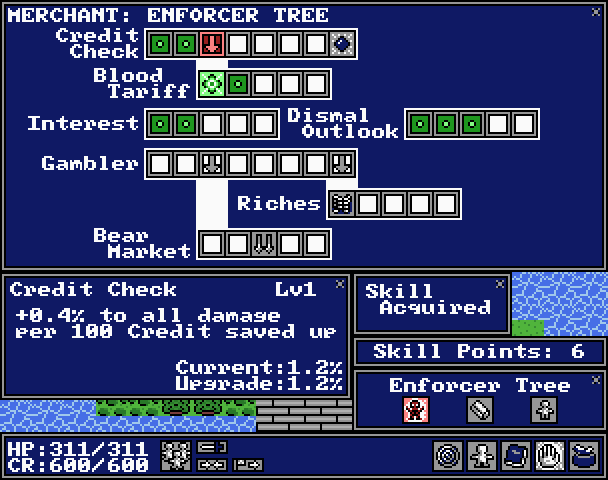 Instead of automatically gaining Credit points at the beginning of each round, Merchants earn Credit every time they inflict or receive damage. 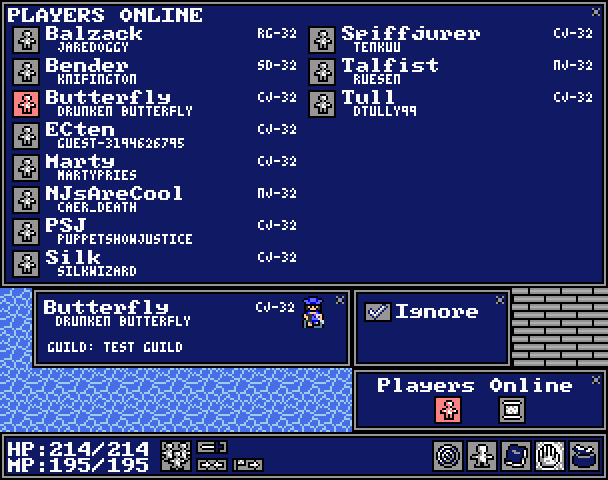 Furthermore, Credit is actually carried over to the overworld and doesn’t get reset after each battle. A Merchant starts out with a maximum of 600 Credit points which can eventually be upgraded to a max of 800. The amount of Credit that a Merchant receives when dealing or taking damage can also be upgraded in their Skill Trees. Inspect -Self-cast; applies the Empower and Harden status effects to the Merchant. Cost: 600 CR. Dividends – Replaces the Merchant’s existing Profit ability. It heals the Merchant for 1% of his Max HP per 10 CR saved up. Trade – The Merchant and a single target swap their current status buffs and debuffs. Cost: 250 CR. 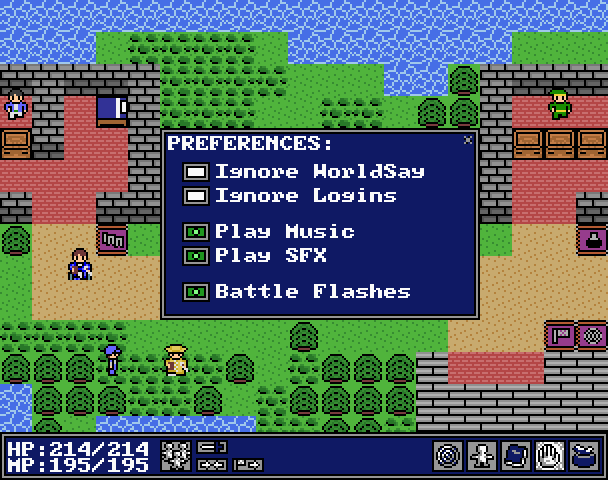 Recharge – Refills the entire parties’ rechargeable items in the overworld. Cost: 600 CR. Loan – Restores all of the Merchant’s Credit in the overworld at the cost of 1 Gold per 2 CR. The Merchant’s two skill trees – Enforcer and Commerce – allow them to focus on either offensive or defensive skill sets. Some Merchants may build their character in a way in which they’re constantly earning and spending Credit, and others may choose to take advantage of skills such as Credit Check and Reserve Ratio which give big attack and defense boosts based upon the amount of Credit currently saved up. As you can see, in v1.52 the Merchant is becoming a much more varied and unique class that really stands on its own. I feel like my original goal for the class is now fully realized: a Merchant can fill the same roles as a Soldier, but there is no longer any other class in the game even remotely like it. I think that existing Merchants are going to love the changes, and those of you looking for a new 1-32 experience come v1.52 definitely ought to consider giving this class a try. The release of the long-awaited NEStalgia v1.52 update will take place one week from tomorrow on Wednesday, October 19. 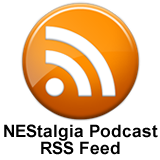 We’ll also be resuming the weekly NEStalgia Podcast at that time. You can read up on what’s coming with this update in the past few development blog posts, starting here. My hope is to post a couple more blog entries with pre-release information related to v1.52 this week, including a description of the big changes Merchants will be seeing. As always, I’ll update the Facebook and Twitter feeds when those posts are up. Please note that this is the first and only official release date that I have given for this patch. While v1.52 may be incredibly late according to my planned development schedule, I never promised that this patch would arrive any sooner than it has. Having said that, I’ve learned my lesson about giving players even the slightest indication of development time frames for these types of updates, and therefore in the future I’m going to try and respond to all inquiries about our release schedule with the classic Blizzard line, “It will be ready when it’s ready”. Although v1.52 is indeed a monster of a patch, the development delays have actually been due to external factors unrelated to the game. Now that I’m back at my desk dedicated to development for the fall/winter months, you should be seeing more frequent updates and progress towards the eventual goal of regular content patches. Nobody wants to get the ball rolling on all of this stuff more than I do!